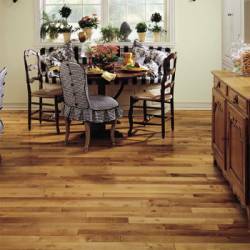 The majority of solid hardwood floors are nailed or stapled to wood subfloors in standard thickness of 3/4 of an inch. 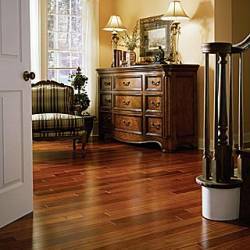 Solid 3/4" hardwoods are a popular choice in coastline areas such as Ft.Myers Beach, Sanibel, and Captiva Island. Most of the installations are on stilt type homes with wood subfloors. • Concrete. Can I Still Have 3/4" hardwoods? 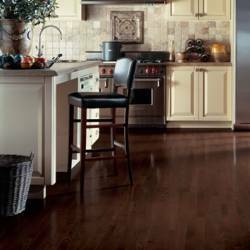 • Thinner Hardwoods? Can't They Be Glued? Site finished floors are more common than prefinished floors in the high end home market where a customer can choose the finish type they prefer or opt for custom staining. 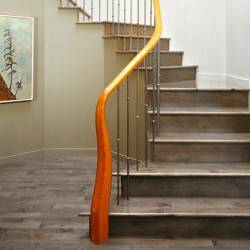 On the other hand prefinished solid floors are chosen more often because of several factors listed here. I Have Concrete. Can I Still Have 3/4" hardwoods? The answer is yes and no, but costs increase if you want the job done right. There are several methods of using solid 3/4" hardwood over concrete by adding a plywood subfloor. Over the years we've handled many of these installations, but there are reasons why plywood and hardwood may not work. More details can be found here. • Baseboards must be removed and re-installed. 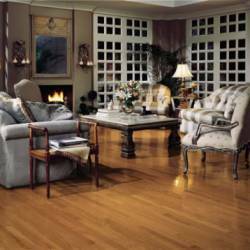 Not all solid 3/4" solid hardwoods are manufactured with straightness in mind. Longer pieces, more common with this type, are extremely hard to straighten out when trying to glue direct to concrete. Different types of hardwood installations call for different trowels. For example, an engineered gluedown requires one that spreads about 50-60 square feet per gallon. The trowel notch recommendation for that type of installation delivers less adhesive on the floor. 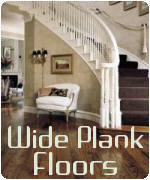 Many inexperienced installers don't know the difference when gluing solid hardwoods. Result? Bonding problems with the hardwood and subfloor. But. Those Thinner Hardwoods? Can't They Be Glued? The answer is yes and no again. Gluing any solid hardwood to concrete should only be considered with very experienced installers using proper adhesives such as Bostiks Best urethane. You won't find the XYZ carpet store advocating solid hardwoods in our area. Chances are good you're likely to hear "they'll buckle..." or "we have nothing but problems with them..." Installed correctly, there are numerous solid hardwood floors in condos and private homes all over South Florida. 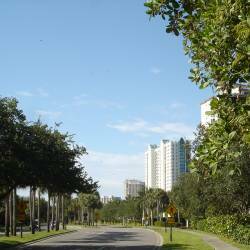 S everal hotspots include the areas along Gulfshore, Pelican Bay, and Park Shore boulevard. Not only are there standard plywood on concrete/ hardwood installations, but upscale parquet designs and herringbone. For condominium type installations, individual building bylaws often require sound control to be used with hardwood flooring. 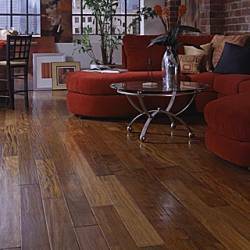 BR111 Antiquity Dolcetto Chestnut 3/4"
Robbins Birch Country Natural 3/4"